Other names: Angaru, black ebony, iron wood. Gaura koli is a quite widely distributed plant. 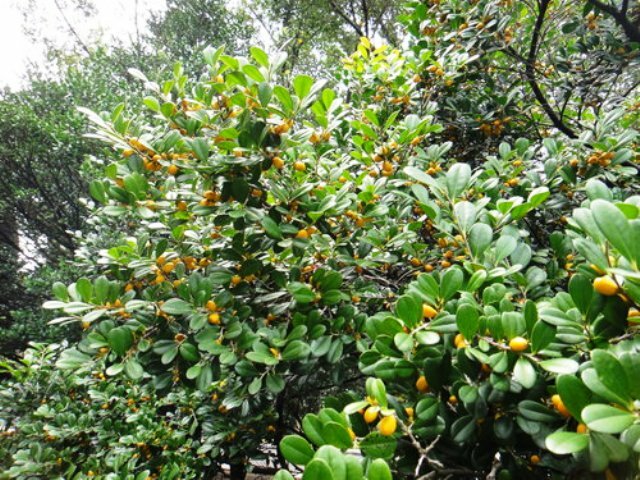 It grows wild in Asian dry forests in Burma, Cambodia, India, Indonesia, Malay Peninsula, Philippines, Sri Lanka, Thailand and Laos. It also grows in North Australia and some parts of Africa. The fruits are eaten. 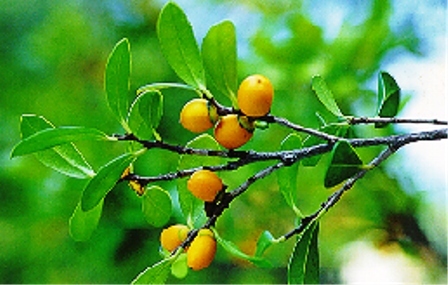 It is also considered as a famine food. Small trees to 4 m tall; bark dark grey, fissured, rough. Leaves alternate, 1-2.5 x 1-1.8 cm, obovate-oblong or spathulate, base cuneate to attenuate, apex obtuse to emarginate, coriaceous; petiole to 2 mm long. Flowers 1-3, in axillary fascicles, white. Male flower: calyx pale yellowish, c. 2 mm long, cup-shaped, lobes 3, 1-1.5 mm long, triangular-ovate, acute; corolla tube 5 -6 mm long, tubular, lobes 3, 1 -1.5 mm long, oblong-ovate, acute ; stamens 6, c. 2 mm long. 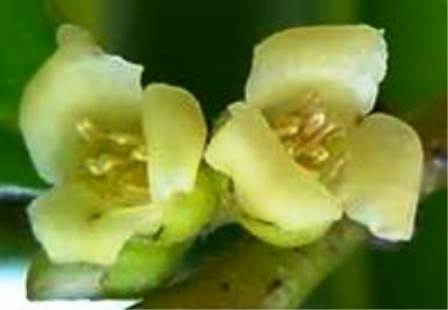 Female flower: similar to male one; ovary c. 2 mm long, globose, silky-pubescent, stigmas 3. Berry 5-7 mm long, subglobose, yellow to brownish red. Seeds 1-3, c. 4 mm long, wedge-shaped. Fruit-pulp of gaura koli is edible when ripe. It is said to be a famine food in southern India. The wood is hard and used for cabinet work. The bark is used for making ropes. Gaura koli tree grows wild and all the fruits are collected from the wild growing trees. 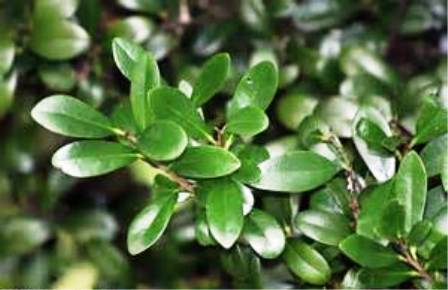 It is not cultivated but for the specimen plants in collections.